BCN, 8 Nov 2018.- With age, our tissues lose their function and capacity to regenerate after being damaged. 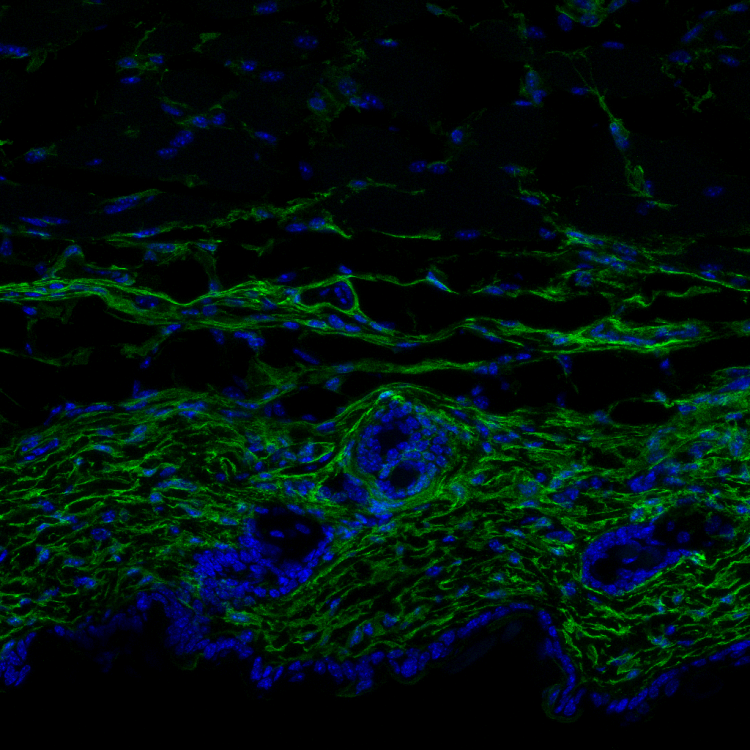 A study published today in Cell by scientists at the Institute for Research in Biomedicine (IRB Barcelona) and the Centro Nacional de Análisis Genómico of the Center for Genomic Regulation (CNAG-CRG) explains how dermal fibroblasts age. “The elderly face many problems in this regard because their skin does not heal properly and its barrier properties are decreased, thus increasing the risk of skin infections and systemic infections,” explains Salvador Aznar Benitah, ICREA researcher at IRB Barcelona and leader of the study. “The notion that the loss of cell identity is one of the underlying causes of ageing is interesting and one that we believe hasn’t been considered before,” he concludes. Holger Heyn, CNAG-CRG's Single Cell Genomics team leader and co-leader of the study, explains that “cutting-edge technologies allow molecular analysis of individual cells. In this study, we have applied advanced techniques to obtain high resolution images of fibroblasts as they age”. The study has been funded by the European Research Council (ERC), the Ministry of Science through ERDFs, the Instituto de Salud Carlos III, the European Union through a Marie Curie- Skłodowska grant and Boheringer Ingelheim, through an international PhD grant awarded to Maria Salzer. The laboratory of Salvador Aznar Benitah also receives funds from the Botín Foundation and Worldwide Cancer Research, among other entities, to carry out the various research projects.